One month from today, the Star Wars franchise returns to mainstream media with the upcoming feature film The Force Awakens. While previous installments in the series were all summer movie releases, The Force Awakens is a holiday-timed release, boasting the return of most of the original Star Wars cast including Harrison Ford, Carrie Fisher and Mark Hamill, while introducing new characters into the fold. Does any of that sound familiar? If you watched TV 37 years ago, it might. On November 17, 1978, CBS aired the primetime variety show, the “Star Wars Holiday Special”, which was also a holiday-timed release that boasted the return of most of the original Star Wars cast including Harrison Ford, Carrie Fisher and Mark Hamill, while introducing new characters into the fold. Among the new characters introduced were Chewbacca’s family, comprised of a wife named Mallah, a father named Itchy, and a son named Lumpy. The “Star Wars Holiday Special” revolved around Han Solo returning Chewbacca to his family in time to celebrate the Wookiee holiday of Life Day (the closest equivalent to “Star Wars Christmas”), all while avoiding the pursuit of the Galactic Empire. The loose plot was seeded with variety show acts including a holographic circus routine, guest appearances by television staples Art Carney and Harvey Korman, musical numbers by Diahann Carroll, Jefferson Starship, Bea Arthur and Carrie Fisher herself, among others. Directed by Steve Binder, known for variety specials including “Elvis Presley’s ’68 Comeback Special”, the “Star Wars Holiday Special” has been widely panned by both fans and Star Wars creator George Lucas, whose involvement with the special was limited. Regardless, the Holiday Special does still stand as the first feature-length Star Wars story released after the first Star Wars film in 1977. It also features the introduction of fan favorite character Boba Fett, who appeared in a cartoon segment during the special a year and a half before his cinematic debut in 1980’s The Empire Strikes Back. 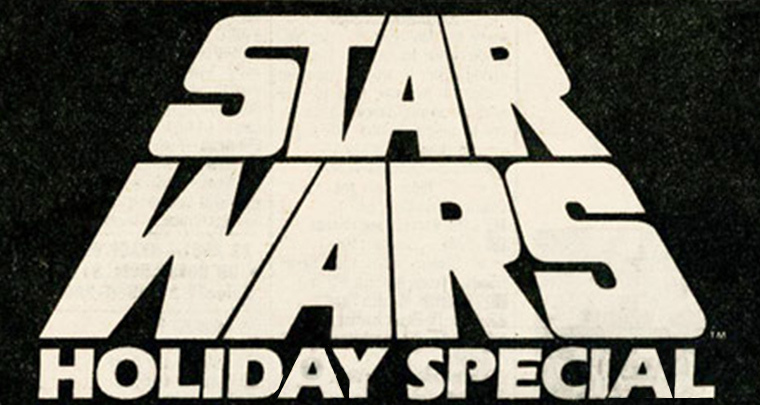 The “Star Wars Holiday Special” only aired once on television and never saw an official home video release. After 37 years, it has retained a cult classic status among Star Wars fans, often serving as a rite of passage for the more dedicated fans to see if they can sit through the entire special. For the curious, the “Star Wars Holiday Special” can be found on YouTube. Watch at your own risk, but have a Happy Life Day! Disclaimer: Star Wars and associated names and logos are registered trademarks of Lucasfilm Entertainment Co. LTD/Lucasfilm Limited Corp.
Why You Should Start Your Christmas Shopping Early! 6 Fall activities the whole family will love!